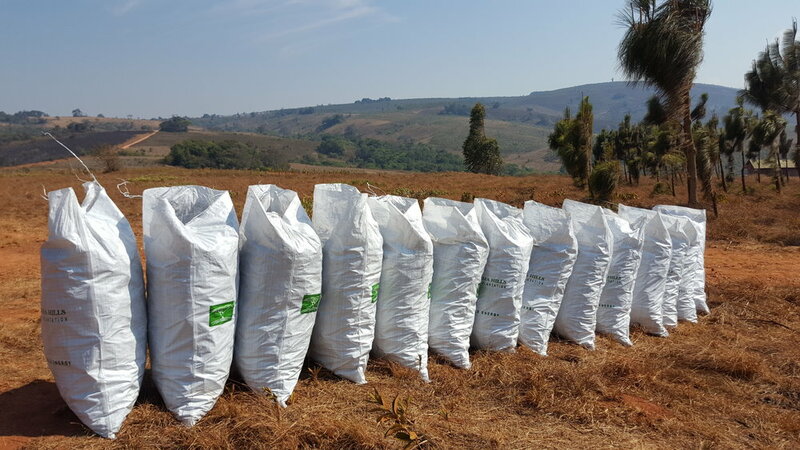 We are proud that our company has been given the first ever sustainable charcoal licence from the Malawian government through the Department of Forestry, making ours the only legal charcoal in the country currently. Many countries worldwide use charcoal (or coal in some areas) as their principle source of fuel, but Malawi relies heavily on firewood and charcoal in particular. If it can come from sustainable sources, then this could help major challenges such as deforestation, soil erosion and fuel shortages for local industry and people. Charcoal is made very inefficiently by illegal producers cutting down indigenous trees and forests that it is leading to a desperate energy crisis on the ground. We use traditional bee- hive kilns for making our charcoal at Kawandama that are cost effective and make excellent product. We aim to expand this part of the business so we can make use of the valuable by-products as well. Our trees are sustainable because we plant them and the timber is a by-product of another core high- value business. KHP has collaborated with many players in Malawi, from aid agencies such as UN and USAID, to government and local businesses. We endeavor to grow fuel wood responsibly, providing an example of how a sustainable model can be developed- all the while producing valuable oils from the leaves. We are interested in the carbon credit market and are open to collaborations in this area. Please email tanya.clarke@cplmalawi.com (or charcoal.goodness@cplmalawi.com) for more information, orders and collaborations. You can buy our charcoal at the plantation itself and at the outlets below. We are always very open to working with more retailers, as well as selling at farm gate prices and loose ton quantities. So don't be shy and get in touch. Trees take time and investment to grow, and we have a head start at Kawandama Hills Plantation. We also have a commitment to helping and creating benefits all the way down the market chain so please email us if you feel there is a prospect for collaboration.